Our method combines environmentally safe cleaning agents, hot water temperatures and state-of-the-art extraction machinery to form a powerful combination that kills and extracts dust mites, bacteria, allergens and pollutants from your home or work place. 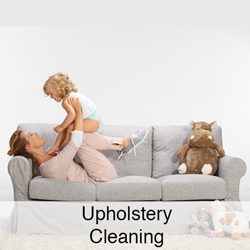 We offer the most cost effective deep steam carpet cleaning, upholstery cleaning, pet odor removal, tile and grout cleaning in Abilene, TX. We take pride in performing a customized evaluation and cleaning for each individual client. No two jobs are the same. Carpet Cleaning Serving Abilene TX - Why Choose Bulldog? Your one stop shop for a professional carpet cleaning company in Abilene Texas and the surrounding area. Cleaning Services are available 6 days a week — Call us today for a free estimate; you’ll be glad you did! Four days later and I am still in love with my carpets! Thank you so much, Paul! The attention to detail, customer service, and knowledge is why I gave this company 5 stars! Do not waste your money elsewhere. Worth every cent!!!! We just had Paul clean our carpets with pet stains and just dirty from kids. He was very knowledgeable about pet stains and how to properly get them out. He was very professional and friendly! We are so thankful and will definitely call him again! These guys are amazing! In one day they transformed our carpets into new! Don't let your pets and kids devalue your home. I highly recommend the hot water extraction. Thanks Bulldog! !